An unprecedented number of voting restrictions are disproportionately affecting the Latino community, says a report from Advancement Project. (CNN) Nearly half of the nation's states have new voting measures that could stop some Latinos from heading to the polls in November, a civil rights group said Monday. 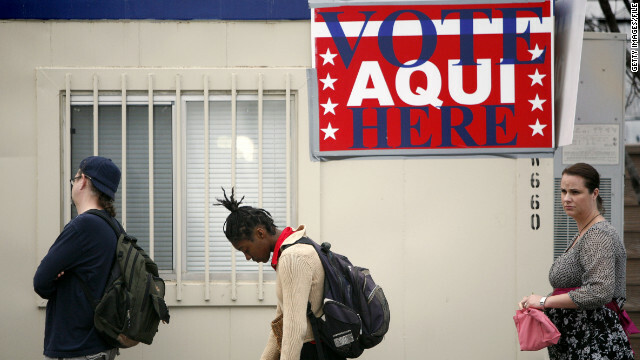 "This year, an unprecedented number of voting restrictions impose barriers to voting that disproportionately affect the Latino community," said a report from Advancement Project, which has also sued to block such voting measures in a number of states. Monday's report from the organization, which pushes to protect voting rights, was the latest volley in a national battle over such measures that splits largely along party lines. Advancement Project's report points to three different types of efforts in 23 states that it says will impact eligible Latino voters: efforts to purge rolls of non-citizen voters, proof of citizenship requirements for voter registration and photo ID laws.